We are also Access Experts. Call Us TODAY at 773-809-5456! Previously there were many twisty roads that you may have followed if you wanted to use Python on a client system to connect to a Microsoft SQL Server database, and not all of those roads would even get you to your destination. With the news that Microsoft SQL Server 2017 has increased support for Python, by including a subset of Anaconda packages on the server-side, I thought it would be useful to demonstrate how Anaconda delivers the easy button to get Python on the client side connected to Microsoft SQL Server. This blog post demonstrates how Anaconda and Anaconda Enterprise can be used on the client-side to connect Python running on Windows, Mac, or Linux to a SQL Server instance. IT Impact, Inc. is a minority-owned software company specializing in custom software solutions. 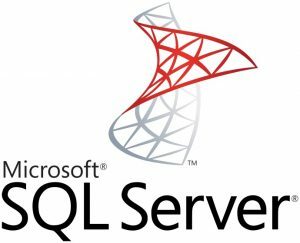 We work with SQL Server, Microsoft Access, web applications, and much more. Our staff is top of the line and includes two Microsoft MVPs!